Your estate plan undoubtedly includes trusts that will continue for the benefit of your spouse’s lifetime and then for the benefit of several generations of your family. Implementing and maintaining trusts that will cover the administration, investment, and distribution of trust property over the span of multiple decades is challenging and generally requires you to have flexibility in your trust agreements. In this issue you will learn five ways that flexibility can be incorporated into your trust agreement. 1. Carefully select your trustees. 2. Define your trust beneficiaries. 3. Include powers of appointment. 4. Allow for trust decanting. 5. Provide for the appointment of a trust protector. If you would like us to review your trust agreements and make recommendations for improving their flexibility, please call our office now. Choosing the right succession of trustees for a long-term irrevocable trust is critical to the trust’s success and longevity. You have most likely considered naming (or have already named) one or more of your family members as Trustee(s). You may have also given the ability for the Trustee to appoint additional family members because they will better understand the varying needs of your beneficiaries and will keep the costs of administering the trust down. However, your family members will not be able to fulfill all of their fiduciary obligations without hiring legal, investment, and tax advisors. These expenses will add up and can ultimately cost more than a corporate trustee, such as a bank or trust company, which will be able to meet all fiduciary obligations under one roof for one fee. On the other hand, forcing your trust beneficiaries to be stuck without a reasonable means for removing and replacing trustees will land your beneficiaries and trustee in court. Therefore, it is crucial to build provisions into your trust agreement which allow beneficiaries or a trust protector (more on them below) to remove and replace trustees without court intervention. Planning Tip: Selecting a trustee is one of the most important decisions you will make when creating any long-term irrevocable trust or dynasty trust. Serious consideration should be given to naming a corporate trustee, either alone or as a co-trustee with a family member or trusted advisor. A corporate trustee will act as a neutral party to oversee discretionary distributions and investment strategies that benefit both current and remainder beneficiaries. To create flexibility, specific beneficiaries (such as current income beneficiaries) or a trust protector should be given the right to remove the corporate trustee and replace it with another corporate trustee. You need to carefully consider who you want to include as beneficiaries of your trust twenty, thirty, or even fifty years into the future. Should adopted children be included (both minor and adult adoptees)? How about children born using “assisted reproductive technology”? In the past the definition of a “descendant” or “child” was straightforward, but today it can encompass much more than blood heirs. Planning Tip: While you cannot predict or foresee everything that will happen in the future, you should carefully consider who you want to provide for after you are gone. Clearly defining the class of beneficiaries who will benefit from your trust will allow for a smooth transition between generations and potentially head off litigation. If you are concerned about how your children, grandchildren, or even great grandchildren will eventually grow up, you can build flexibility into a dynasty trust by giving your spouse or other beneficiaries the ability to include or exclude heirs through the use of powers of appointment. A power of appointment is also important if a trust is designed as a dynasty trust but the beneficiary fails to have children, and it can also be used to include or exclude charitable beneficiaries. Planning Tip: Powers of appointment at each generation should be considered when creating a trust that is intended to last for decades into the future. In many cases, the powers can be as limited or as broad as you desire without creating any gift tax or estate tax problems. Converting a trust that terminates when a beneficiary reaches a certain age into a dynasty trust. 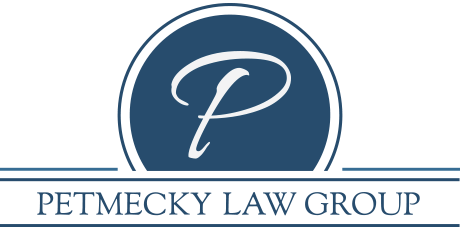 Changing a support trust into a full discretionary trust so that a beneficiary’s creditors cannot reach the trust. Clarifying ambiguities or drafting errors in the trust agreement. Changing the governing law or trust situs to a less taxing state. Merging similar trusts into a single trust or creating separate trusts from a single trust. Adjusting the trust terms to provide for a special needs beneficiary. Planning Tip: You may be concerned that building decanting provisions into your dynasty trust will defeat your long-term goals and intent. Nonetheless, without building any flexibility into your trust agreement from the beginning, it is likely that your heirs will end up in court to fix a trust that no longer makes practical or economic sense. A trust protector is an individual or entity that is empowered to see that your wishes are ultimately fulfilled. A trust protector’s duties can be as limited or as broad as you choose. In essence a trust protector can be given the power to modify the terms of a trust without necessarily having to decant it and to address unforeseeable events such as changes in tax laws or family dynamics. Planning Tip: Of any of the options you can include in your trust agreement to insure flexibility, a trust protector is in and of itself the most flexible. This is because a trust protector can be given the right to appoint, remove and replace trustees; include or exclude beneficiaries; adjust powers of appointment; and decant the trust into a new one. Therefore, trust protector provisions should be included in all of your trust agreements. Are Your Trust Agreements Flexible? Unfortunately trust agreements that are more than a few years old usually lack flexibility provisions for allowing the trust terms to be adjusted as the needs of the beneficiaries and governing laws change. The good news is that modern trust law contemplates these changes and can be invoked to fix an old trust that has gone awry. If you are interested in learning how to build flexibility into your revocable trust or how to modify an existing irrevocable trust, please contact us.